Mindy Saint Martin says her husband Lexius was picked up by immigration officers three weeks ago, on his way to work. 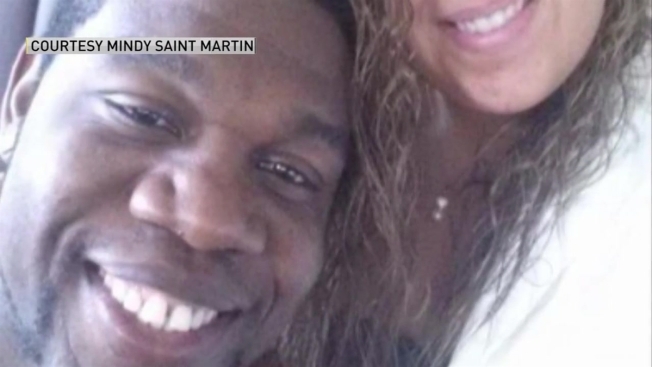 A woman from Waterville, Maine is pleading for help to get her husband back after he was detained in New Hampshire, facing deportation to Haiti. Lexius came to the United States as a refugee when he was 11 years old. His lawyer, Evan Fisher, says he graduated high school, but got mixed up in the wrong crowd. In 2007, he went to jail for seven months for a drug trafficking conviction. Fisher said at the time Lexius entered his guilty plea, he was not made aware of the implications it could have to his immigration status. In 2010, he was picked up by ICE for the first time and given a removal hearing. Fisher said immigrants are not provided an attorney during this process, and Lexius had to argue his own case. He was given a removal order, but then an earthquake hit Haiti. The nation could not accept people like Lexius, and Haitian immigrants were given a temporary protection status in the United States. Recently, President Trump rescinded that TPS order for Haitian immigrants. Lexius was arrested three weeks ago, without warning that his immigration status was in jeopardy. "He said ‘Mindy, ICE just picked me up, I'm being deported back to Haiti,'" Mindy said, recalling a phone call from her husband. "'You're a wonderful wife and mother, I love you and kiss the boys for me. Them I love them.' And that was it." Fisher said ICE has not explained why Lexius was detained, and how long he could be waiting to be deported. "He’s worried about his family, and he’s worried about the injustice of all of this," said Fisher. He plans to file a motion in federal court, arguing that Lexius is being detained indefinitely. He may also argue that ripping him from his family, and sending him back to a country he barely remembers is cruel and unusual punishment. The Saint Martin family has started a petition online, asking Governor LePage to pardon Lexius and keep his family together. So far, it has more than 16,000 signatures. In a Tuesday afternoon radio interview, Governor LePage indicated that he would not issue a pardon. "[Saint Martin] has been on notice for a decade that he’s going to be deported and he has done nothing to change his status," said Gov. LePage on Maine Calling. "There's nothing I can do. It’s in the hands of the courts."